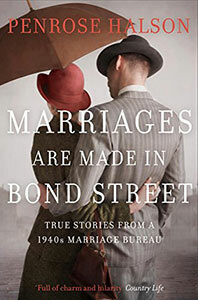 In April 1939 two 24-year-olds, Heather Jenner and Mary Oliver, opened a Marriage Bureau in Bond Street. In September 1939 war was declared. The book's vivid, funny, sad, poignant vignettes form a microcosm of life during war and its aftermath. A most unusual story, which has never been told before. 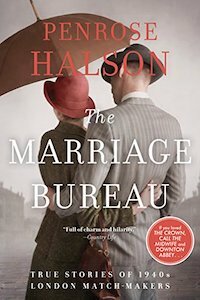 What did The Marriage Bureau's clients want? One man asked for "Marilyn Monroe with homely ways." More requests in Bureau clients. One said: "You made me laugh out loud!" More plaudits in Reviews & reactions. "A book full of charm and hilarity." Read more in Reviews & reactions. Who is Penrose? See About Penrose. For other questions, see Contact. 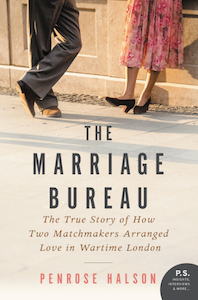 They wanted to help expatriate men - soldiers, businessmen, planters of tea and indigo, missionaries, colonial servants - who came to England on leave to find a wife. In the growing uncertainty and fear, clients of all kinds sought the Bureau's help. It blossomed into a national institution. One man asked for "Marilyn Monroe with homely ways." More requests in Bureau clients. 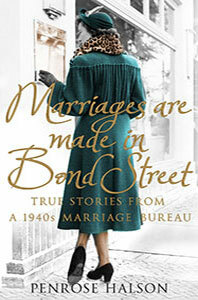 Ysenda Maxtone Graham wrote in Country Life: "A book full of charm and hilarity."